These are quick instructions for installing Plone 5 Beta 4 on Cloud9 IDE, they supercede my post on installing Plone 5 Beta 2. 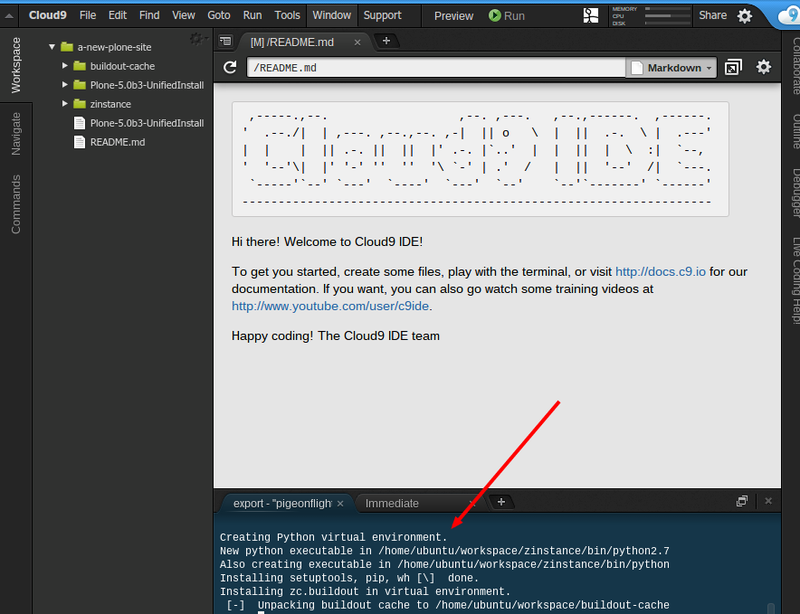 This walks you through the process of installing Plone on Cloud9 IDE as it is no longer possible to do this on the free tiers of Codio. 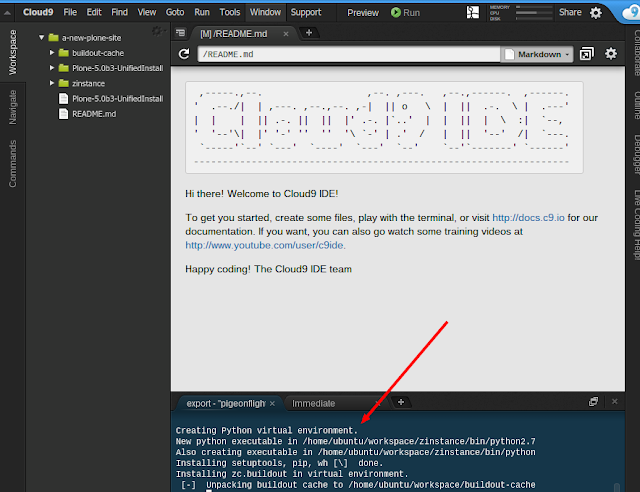 We assume you have already signed up with Cloud9 IDE. At that point select Preview > View Running Application. IMPORTANT: You'll need to get the adminPassword, it is located under the 'zinstance' folder see the screenshot below. This will lead you to the Plone installer (it will look a little weird, because of an issue with proxying the site via https). Click on Create a new Plone site and following the instructions. 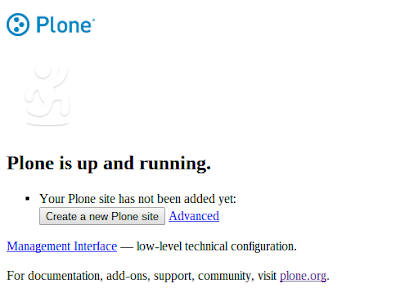 Here are a few things to know about Plone. 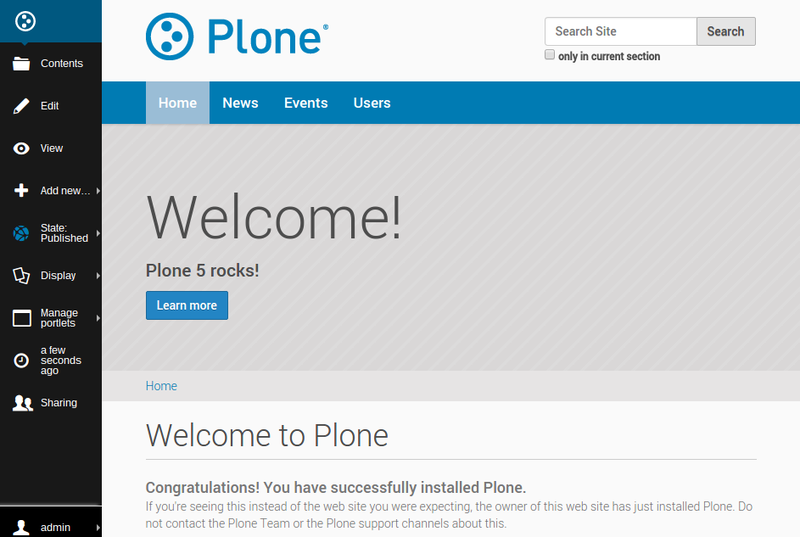 This quick cloud based installation is a great way to try out some of the new things in Plone 5. Plone 5 is still being polished so it will have rough edges. 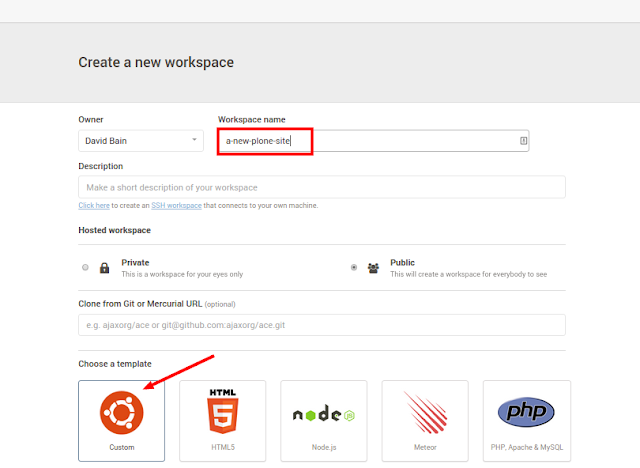 Try changing the look of your site by following these notes from Asko Soukka on customizing Plone 5's default theme. If you get this working, please leave a comment. If you try and have issues leave a comment. What's wrong with my site? Thanks so much. I left out a detail in step 3. I've updated it now. 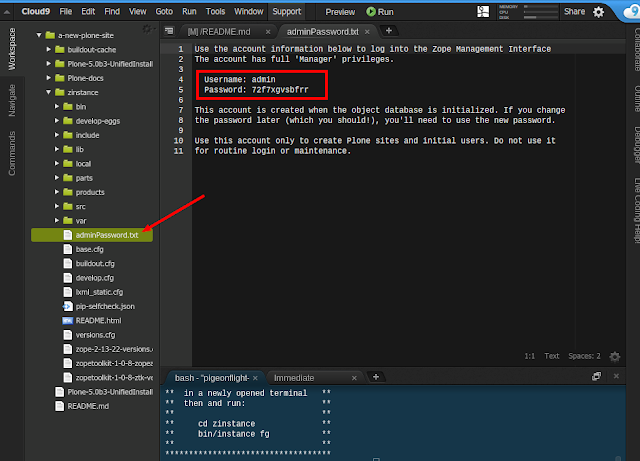 When you see the "Zope Ready to handle requests" message go to "Preview" > "View Running Application". Thank you very much for your feedback, I totally missed that!